Today, I'm stopping in to share my last two cards for my Guest Spot with The Rubber Cafe! The Creative Kit of the Month, Spring Is Here, will definitely get you in the mood for spring, whether you're still having winter weather or it already feels like summer! I wanted to do something fun with the ribbon included in this month's Kit, so I decided to use each color on my first card. I covered my card base with the text patterned paper included in the Echo Park 6x6 paper pad. Then I used four pieces of double sided tape to adhere the ribbon to the card. I just folded each color of ribbon over accordion style and then used my sewing machine to stitch each strip down. 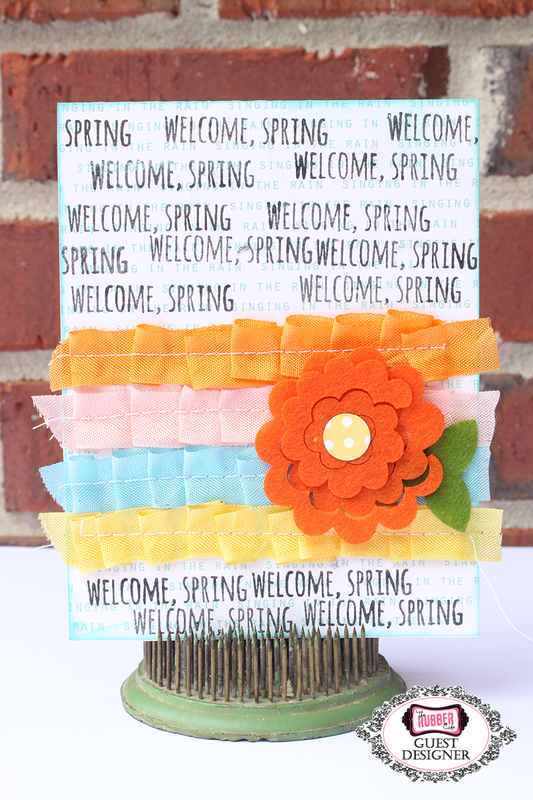 I wanted to add a little bit more interest to the text paper, so I stamped the Welcome Spring sentiment in Black ink. On my second card, I kept a White card base and stamped the cute bunny on one of the 6x6 papers from the Echo Park paper pad. After I stamped each of the bunnies, I fussy cut each one and added pop dots behind each one to give some dimension to the card. 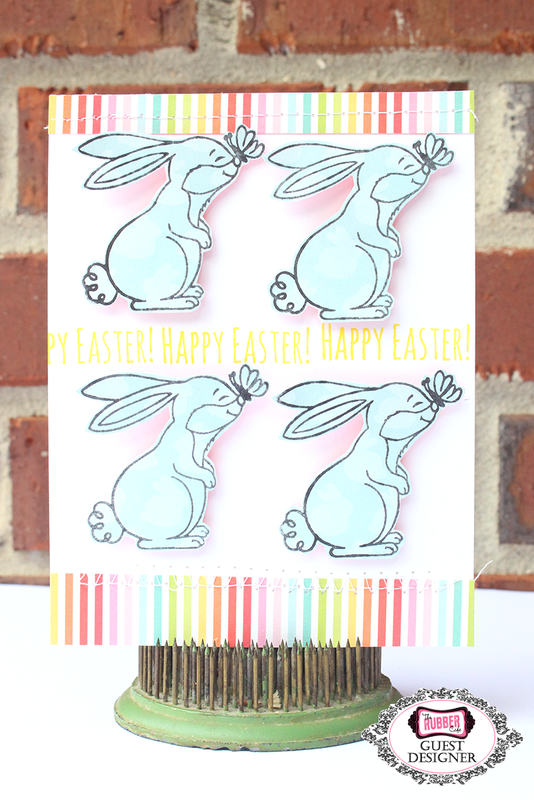 For the sentiment, I stamped Happy Easter across the center, using Yellow ink. And for a pop of color, I cut two strips of the striped paper from the Echo Park 6x6 paper pad and added it to the top and bottom of the card.